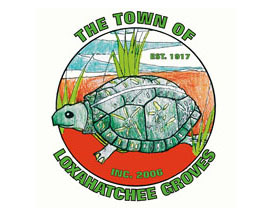 Information technology advisor Steve Murray with Municipal Technologies told the Loxahatchee Groves Town Council on Tuesday, Feb. 5 that the town will need potentially expensive upgrades to its online system of meeting videos and posting documents due to the Americans with Disabilities Act. Murray said not acting to ensure ADA compliance on the town’s web site could lead to lawsuits. Town Attorney Michael Cirullo said the issue is broader than closed captioning. Murray added that the old Loxahatchee Groves Water Control District web site needs to get shut down since it is now merged with the town. Councilwoman Anita Kane asked what exactly is required for the town to come into compliance. Murray said he is putting together the costs of the upgrades. Kane asked Murray when he will have a plan proposal to become ADA compliant. Murray explained that ADA requirements are different if only audio is broadcast. He hopes to have quotes from vendors next month. “Until I know exactly what you want, it’s a moving target,” he said. Cirullo suggested putting an item on the next agenda for council discussion and direction on ADA compliance. Mayor Dave Browning asked if he understood that a broadcast must be ADA compliant, but there is no requirement that it be broadcast. Murray said there is no requirement that meetings be broadcast, but there are other ADA issues with the web site. Councilwoman Phillis Maniglia asked Murray how long he has known about the need for ADA compliance, and Murray said that he has been advising the need at every update he has given the council, which has been several months, and the town must be able to show that it has been making progress if it receives a legal challenge. Cirullo said there are steps the council can take to show it is trying to be ADA compliant. Cirullo added that if the town gets a complaint, it can say it is making an effort to become ADA compliant. Murray asked for direction initially to get a quote on closed caption only for the council meetings, and for a time period that the council wants items to appear on the web site. Murray added that meetings that only broadcast audio are already ADA compliant. Kane made a motion to get a quote to video broadcast just the council meetings and audio of the other meetings, seconded by Maniglia, but Vice Mayor Todd McLendon said he felt they were making a haphazard decision. The motion carried 4-1 with McLendon opposed.